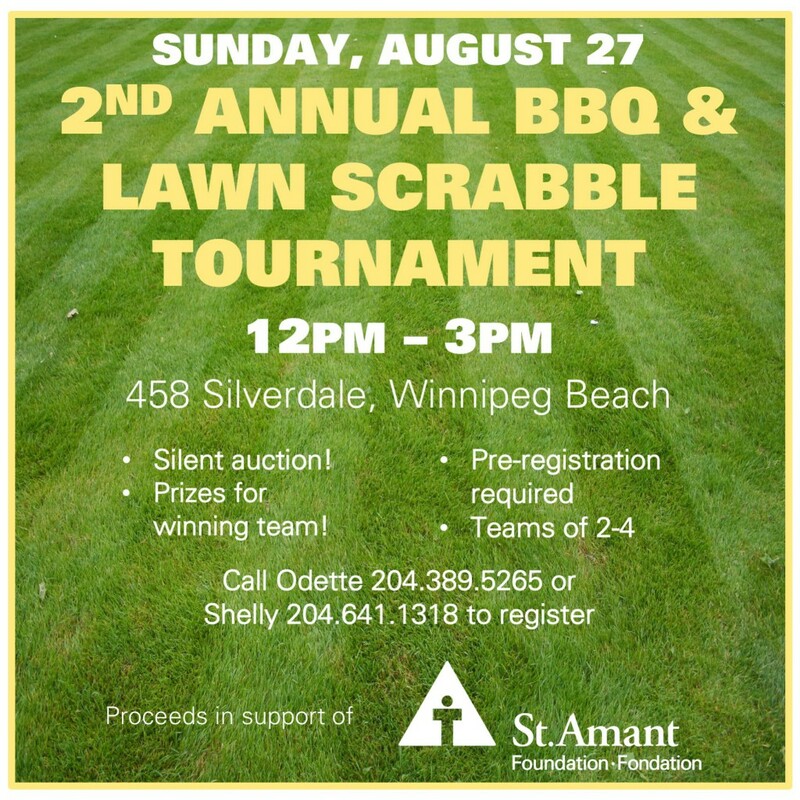 Register for the 2nd Annual Lawn Scrabble & BBQ held at 458 Silverdale Ave in Winnipeg Beach on Sunday, August 27. Pre-registration is required for teams of 2-4, plus prizes for the winning team and a silent auction. Call Odette at 204-389-5265 to register.